Who said sequels are never good? In the case of the App Store, this saying does not work at all. The creators of 'Temple Run', Imangi study should be hopping right now for their offices. 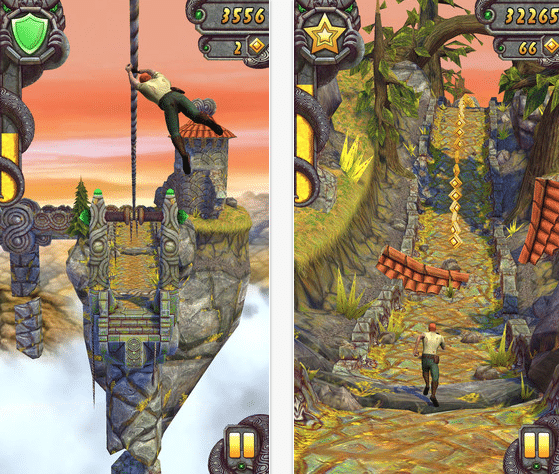 In just four days, the second part of Temple Run already has 20 million downloads. This title fremium adventure extends the experience we had in the first game, which totaled 170 million downloads in total, across different platforms. "The response from the fans has been incredible. We are delighted that the players ask for more adventures in the universe of Temple Run and hope to continue growing to expand the game in the coming months. " Imangi is beginning to taste success on behalf of other companies like Rovio, through a title that is very addictive and combines various factors explosives. With these figures, clearly we can expect many new features in the coming months. We are confident qu e Imangi now expand their study, as well as hire new employees. Article The second part of 'Temple Run' collects 20 million downloads since it was originally published in News iPhone .